Ever since Sunday Oliseh became head coach of the Super Eagles, there have been some interesting turn of events. 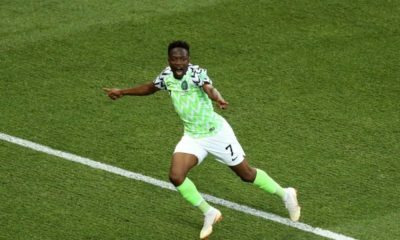 You will recall that Oliseh appointed a new captain for the team Ahmed Musa, and afterwards, goalkeeper and ex team captain, Vincent Enyeama dramatically announced his exit from the team via Instagram. Afterwards, there were reports that the NFF had plans to regulate the players’ social media use. 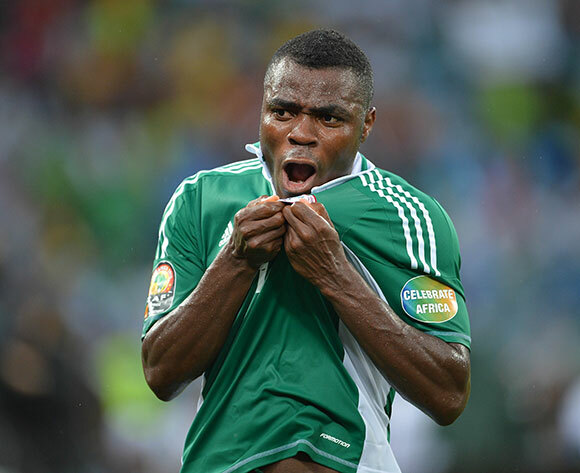 And now, Super Eagles striker, Emmanuel Emenike, has announced that he is retiring form the national team after five years, Premium Times reports. It’s a pleasure for me to have played for this great country. I never regretted it and I think it’s the best time to end it. Million thanks to all the fans who have been very supportive during the good and bad times. I am very proud of my performance, I am proud of my team mates and I am very proud of the nation called ‘Nigeria’. My AFCON gold medal is a sign of great achievement, My AFCON topscorer award speaks a lot about my commitment and dedication to the team. Super Eagles is a camp not a family house, and it shouldn’t be a threat zone for any individual. I have done according to our national anthem. “All my dreams came true in the national team, I dreamt (sic) to win Nations Cup for Nigeria after 20-years, I dreamt (sic) to played at the World Cup as well as to make a name for myself… In the space of five years, I got them. I’m a winner! For every disappointing fans, maybe due to my inability to re-establish my goal scoring instinct for Super Eagles, I will like to say I’m sorry but the ones I had scored counted well for the team. Welldone for your part. Wish you well now and in future. Oliseh should take it easy with this lads.These guys are not kids and you know they are exposed so i am not sure they will want you to treat them anyhow.Just saying.Well if he wants to retire that is okay but i think it is right time to begin to build a new super eagles where discipline and commitment will be the motto.Oliseh begin to scout for talent both home and abroad in order to arrange a formidable eagles that will rule Africa and the world. Congrats! Wish u success in ur future endeavours. Awon Sunday Oliseh, remember Samson Siasia nd his tenure as Super eagles head coach. Sentiments apart guys…how about a little thinking? There is clearly sometin wrong in that Camp! Did he say somtin about ”….threat zone for any individual”? oliseh will soon enter d feild and play d ball all by himself, abi kini gbogbo radarada yii sef? as in!!!! gragra e ti fe poju! did anyone notice the part he wrote “Super Eagles is a camp not a family house” hian Oliseh, easy ooo. dont come and be imposing plenty things on the existing players. they will all walk out. It funny when one run from challenges, Emenike Just prove He cant face the hit when it is hot, Mikel has never quit despite how we call Him names, He was in the team before Musa, yet He never let the Hit make him Quit, if Emenike thinks He is a winner well i want to brake the news to Him, Quitters are losers. Biko everyone of them should retire and let Oliseh build a new team, we don’t have to go for any competition for the time-being not that if we go sef we will win anything(bunch of old legs claiming youngies). Think its time we start afresh..
is it every Olympics/World Cup season we’ll be finding new guys to play?